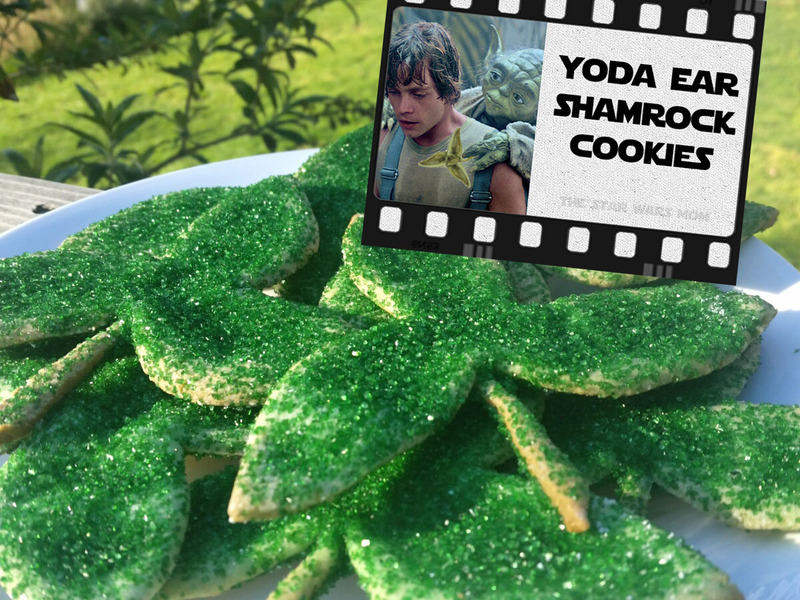 Lucky Luke's Yoda Ear Shamrock Cookies for St. Patrick's Day in the Star Wars Universe AKA St. Yodatrick's Day! Do they celebrate St. Patrick's Day in the Star Wars Universe? 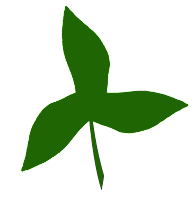 We have shared this cookie stencil for sugar cookies and the pin before, but it's a great time to bring it back in time for St. Patrick's Day. Yes, they do, but in the Star Wars Family, we call it St. Yodatrick's Day! 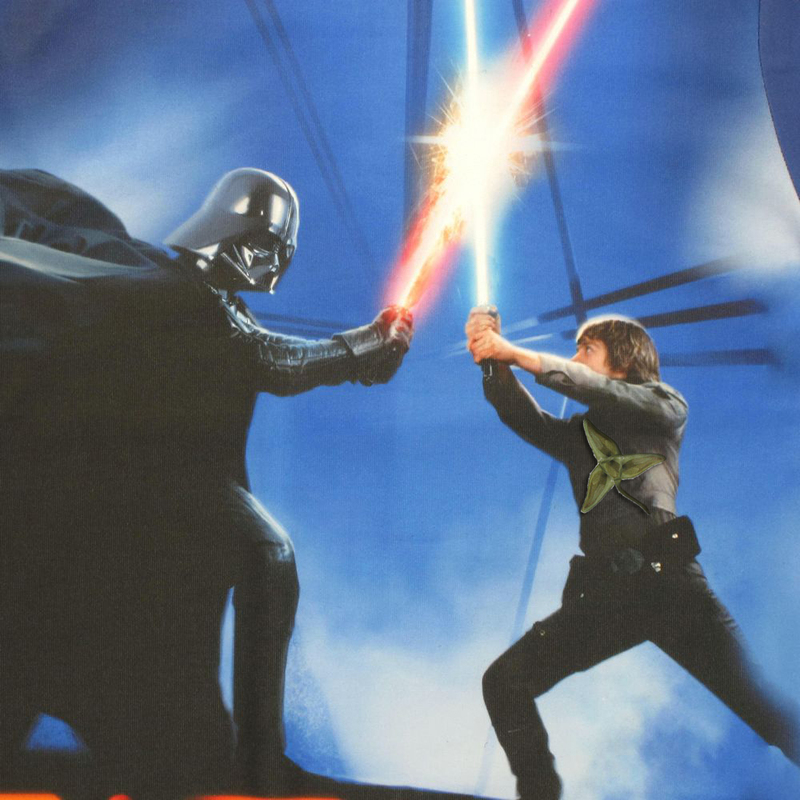 Perhaps you failed to notice the special badge of courage Luke wore in the Star Wars movies during his battle scenes with Darth Vader? As you can see above, Yoda gave it to Luke during his training. 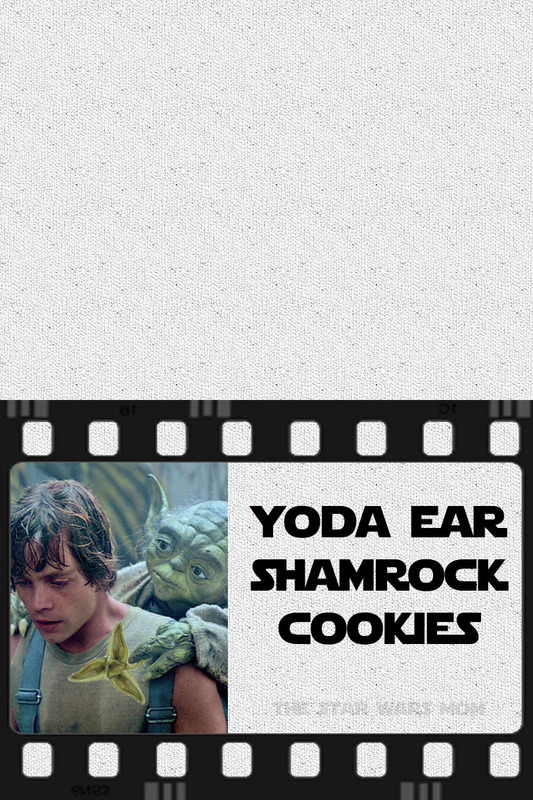 Luke Skywalker wore a Yoda Ear Shamrock! What was Lucky Luke's secret weapon? Yes, there it is! Luke was wearing his lucky Yoda Ear Shamrock shield during the battle. 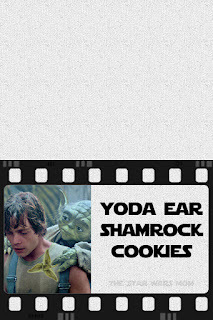 Not only can you make the Yoda Ear Shamrock Cookies with our stencil, but you can print out a Yoda Ear Shamrock to pin on to keep from being pinched. And while you're at it, why not make a Yoda Soda Floata to keep it green? Share the Green and Don't Get Pinched! Be sure to print your stencil below to make your Yoda Ear Cookies. Simply cut your sugar cookie dough in this shape, then brush with egg wash and sprinkle with green decorator sugar or use green icing. So many chocies on how to decorate. Almost as cute as PORGS!!! Click on image to save or print. 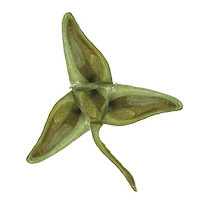 While you're at it, help yourself to a Yoda Ear Shamrock to pin on for the day.